Inside: Diagnosis day when you have a special needs child can change everything for you, your child, and your family. Here’s how you can gain strength from it. I drove my daughter home from her specialist appointment the other day and as we sat in traffic, my mind wandered back to the dozens of times we’ve done this drive before. The deja vu took me back to the day we found out my daughter has a rare genetic condition. As I drove, I experienced the same rush of fear and anger and devastation eleven years ago on her Diagnosis Day. Like today, the emotions just attacked me. The bitter taste in my mouth, the pit in my stomach, the strong desire to scream curse words at the universe. See, not all disabilities are visible. While some parents discover that their child will have special needs while they’re in utero, others realize it the moment they meet their child in the delivery room. But the rest of us don’t find out for days, months, or even years later. For my daughter, it took 3 months. And that day, her Diagnosis Day, changed everything for us forever. 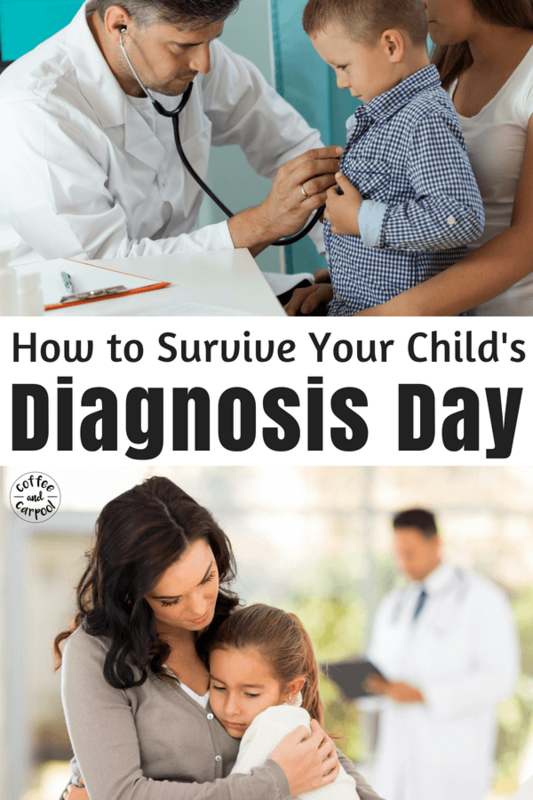 I can’t possibly imagine how Diagnosis Day looks for every family, because every person, child, and disability are unique. For me, I had an inkling that something was off and not quite “normal” about my infant daughter. But I paid little attention to it. I barely gave it another thought. Nah, I’m sure it’s fine. Because I was focused on breastfeeding and sleep schedules and trying to find time to shower. At her first pediatrician appointments, my daughter passed the assessments and milestone questionnaires. Is it a problem? No, not right now. Let’s keep an eye on it, the doctor suggested. And because she passed, I shrugged it off. And I went back to focusing on making pureed baby food, babyproofing and still trying to find time to shower. Both my neighbor and my mom mentioned something to me ever so cautiously: Um, have you ever noticed…? I got a little defensive. I knew they were trying to help. They were just concerned. But hey, this is my kid and she’s fine, ok? But by then it was already in my head and I couldn’t stop questioning every little thing. I started researching during my daughter’s naps. I “tested” her on the benchmarks laid out by the Internet, and we all know how reliable that is. I started to get an awful pit in my stomach. A feeling of ominous dread. Oh my God, what does this mean? Will we be all right? What next? Who will help us? This was, for a lack of a better word, unfair. This was just so unfair. I hugged my daughter a little harder and a little longer than she was okay with. I grasped her tiny face between my hands, stared into her eyes and professed my undying love for her. I confided my suspicions to my husband and best friend and they both tried to reassure me. But by now, I knew. Sort of. My eyes started to well up. Not big tears. Just “oh my God, this might be happening” tears. I called my pediatrician and made an appointment. While I waited endlessly for that appointment to come, I did more research. Which was both comforting: I’m not alone, there’s help, there are services…and petrifying: Can I handle this? I can’t handle this. I have to handle this. I took a deep breath and started imagining what I would do to help my child succeed. We’ll find the best doctors, the best schools, the best therapies. We’ll take out a second mortgage, we’ll get extra work. We’ll beg our parents for help. At our pediatrician’s appointment, as he examined my daughter, the doctor got very quiet. I walked out terrified and whispered a promise to my daughter that she and I would never see that pediatrician again. Waiting for our next day’s appointment was agony. I knew that even if my 3 month old miraculously slept through the night, I wouldn’t. I laid in bed and swore that I would be ready for the next day and every day after that. I would make this as easy as possible for my child. I would own as much of this burden as I could. I would bottle my fears and my anger and my grief so she wouldn’t see it. She needed me to be her rock, her beacon of hope, her constant source of strength, as we traversed this new and scary path. But oh my, I worried and stressed. And since I didn’t have any answers, I started asking more questions. How will this affect her dreams? Or my dreams for her? How will this change her life? Will she live a happy and fulfilled life? My questions were endless. They also went unanswered. Our Children’s Hospital appointment came and went, and will forever be our Diagnosis Day. It was as awful as it could have been. We waited in the most clinical, cramped, and depressing office ever built. We had to ask the emotionless specialist to spell her condition for us twice since we had never heard of it before. And for the second time in two days, I had to promise my daughter that we’d never see that doctor again. Walking through the lobby of the hospital, I had to remind myself to breathe. Just get to the car so we can be on our way to our safe little home. My husband and I spent the drive crying and reassuring each other. In between the sobs, it was broken conversations of Why us? Why her? Why me? We questioned a higher being, and we questioned the universe. I tried to rationalize my pain. It’s not that bad. Other people have it so much worse. It could be so much worse. We’re so lucky. Because then I had to start telling people: our parents, our siblings, our friends. She’s so lucky to have strong parents. (For the record, this was random, we’re strong because we have to be and this didn’t happen for a reason, it just happened.) 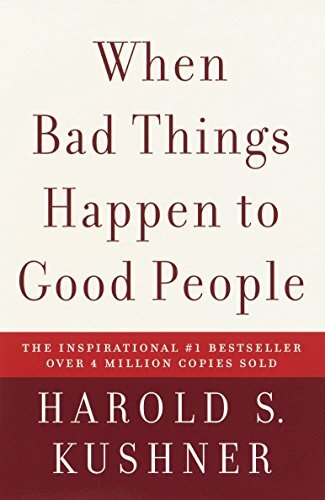 Thank goodness for When Bad Things Happen to Good People to help me cope with it all. I reached out to a friend of a friend of a friend whose child had something similar. I needed advice. I needed reassurance. Life will not end. I can do this. My kid can do this. She’s strong. We’re both strong. As for the pit in my stomach? It went away. The fears and the anger? Both are still there but on a different level of intensity. The raw feelings I experienced in the early days only resurface every once in a while. Like on those days when we have to make a decision on a surgery that may or may not make it worse or on ultrasound days when they’re searching for cancer which is a possibility with her diagnosis. But I knew that if I dwelled on my fear and uncertainty and curled into the fetal position, I would serve no one. Not myself and definitely not my daughter. So we focused on what we could do, what we could change. We were determined not to be passive riders on this rollercoaster ride we did not sign up for. We found specialists that we didn’t want to punch in the face. We friended perfect strangers on Facebook whose children have the same genetic condition. We created a support group for ourselves. And it all still strikes me as grossly unfair. That never went away. But we take it one “limit,” one IEP meeting, one specialist appointment at a time. And now, eleven years after her Diagnosis Day, our daughter continues to surprise and impress us. She has barreled through that list of limits given to her. She crawled and she can read. She learned how to ride a bike…something the first specialist said she’d never be able to do. Because we don’t let her diagnosis define her. Now, I’m not naïve enough to think it’s going to be all rainbows and sunshine. 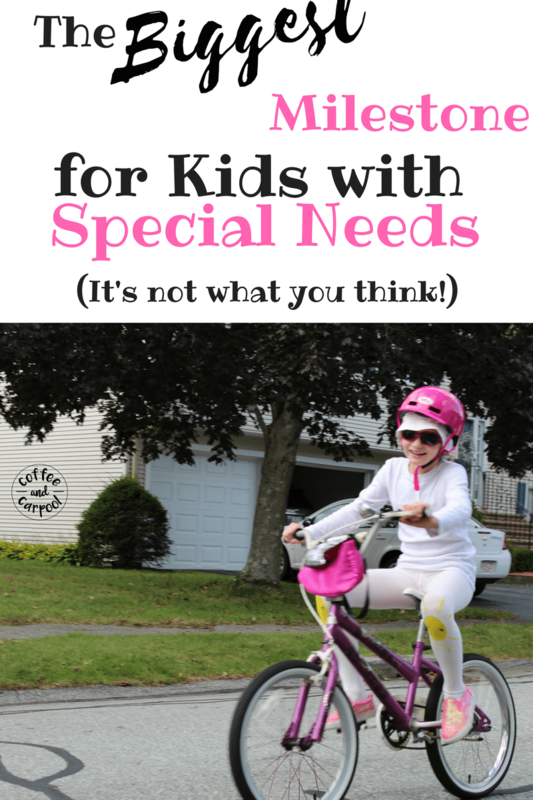 My daughter has been teased and bullied by her classmates because of her disability and she falls off curbs she can’t see and we’ve had to break the news to her that she may never drive a car. She has the strength to shake off the tough days. To move on after the tears have dried. As for me, many of my endless questions are still unanswered. Her future successes are still uncertain. Turns out, I am strong enough too.